Finally, after a long five-month wait, football is officially BACK! 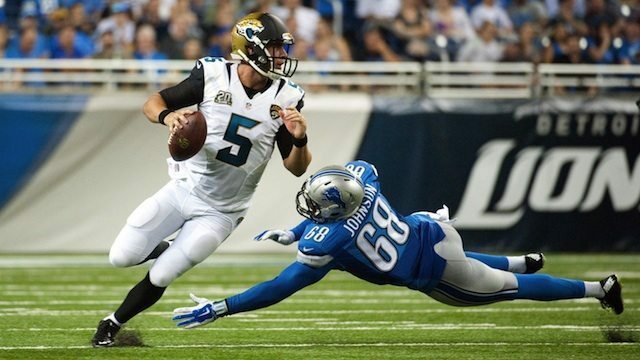 A quick update on the hometown Jacksonville Jaguars: sophomore quarterback Blake Bortles will try to lead the Jags to a win with the help of the recently-signed tight end Julius Thomas and drafted running back TJ Yeldon. The Jacksonville defensive line also had some upgrades this offseason and look to bring even more sacks and big plays than last year! Here is the Jaguars gameday schedule. Now, my season predictions for the entire league: The New England Patriots will try to defend their championship title during this year’s NFL season. The NFC division winners will be the Seahawks (West), Packers (North), Cowboys (East), and Saints (South). The AFC division winners will be the Broncos (West), Ravens (North), Patriots (East), and Colts (South). The playoff wild-card teams will be the Chiefs and the Dolphins from the AFC and the Cardinals and the Vikings from the NFC. In the AFC Championship the Chiefs and the Colts will play, and in the NFC Championship the Packers and the Seahawks will play. My Super Bowl prediction is the Seattle Seahawks defeating the Indianapolis Colts, 31-25. The league’s Offensive Player of the Year will be Dez Bryant, the Defensive Player will be Patrick Peterson, and the Most Valuable Player will be Andrew Luck. Good luck to your NFL team! Most football fans also participate in fantasy football leagues. If you play, I’d suggest trying to pick Melvin Gordon (San Diego RB) around the third round and Breshad Perriman (Baltimore WR) as a sleeper in one of the last couple of rounds. Both are rookies, but I think they’re each posed for breakout seasons. Veterans Dez Bryant and Lesean McCoy are already superstars, but could have a record-breaking year. We definitely have an exciting season ahead of us! Editors Note: To get even more hyped, I strongly recommend HBO’s Hard Knocks. This year they follow the Texans during their pre-season camp. The coaches and their team are so engaging you might be showing some horns come the regular season. For local fun, check out our PVHS Sharks! Here is the varsity game schedule. This Friday, the varsity team takes on rival Nease for the season opener at PVHS. LOVE Gus Logue! Let’s keep hearing more from him!!! Love this, Gus!! Great Work and GO JAGS!